Based on the Fabled Lands HD series of gamebooks from the mid 90s, Fabled Lands HD brings Choose Your Own Adventure style gamebook play to the iPad. I should probably flag straight away that I didn’t read those books in the mid 90s and, as my time with Fabled Lands HD failed to pique my interest, I won’t be reading them in the foreseeable future either. 3) Acknowledge my witty parody of the game book genre and read the rest of the review, regardless. Billed as THE ULTIMATE 2D ADVENTURE, Fabled Lands HD is an odd beast – an RPG in the traditional sense, but on the new hotness that is the iPad. Sat in the RPG folder on my iPad and next to my Final Fantasy, Broken Sword HD and Monkey Island apps, as a non-devotee of the series, Fabled Lands seems a little out of place in the modern gaming landscape. It’s like playing a cutting edge RPG … for the Atari 1040ST. However, if you love the series, then this release has probably got you hot under the collar. The first app, based on The War-Torn Kingdom, included new colour art from Russ Nicholson and captures the feel of a gamebook incredibly well. Very little is added too the digital version of the game, mostly static images and a simple MIDI soundtrack, all of which add a lot to the retro/authentic feel of the game. Gameplay is incredibly text heavy, with lots of (some might say too much) exposition. A series of static images is on every “page” with text below either describing the scenario or presenting a series of choices – much like a Choose Your Own Adventure book. The actual gameplay follows the books very closely, so if you love the gamebook style of play and especially if you are fan of the Fabled Lands series of books you’ll probably love this. If you have no fond memories of this style of gameplay, then this is probably not for you, especially for $8.99. 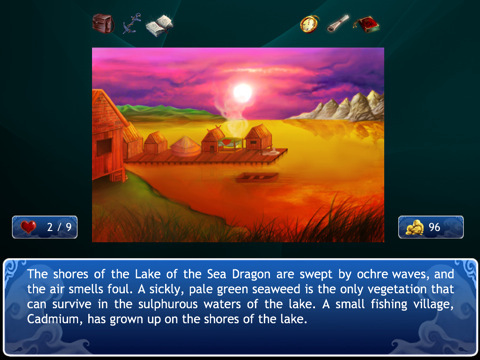 AppSafari review of Fabled Lands HD was written by Shem Pennant on February 2nd, 2011 and categorized under Adventure, App Store, Fun, Games, iPad apps. Page viewed 5787 times, 2 so far today. Need help on using these apps? Please read the Help Page. I just want to say this note is unfair and unjustified. You recognize you dislike gamebook genre and your critic has a lack of impartiality. To be short, this is a game as I’d like to see more often. He stated that this is an odd game in the modern RPG era. It’s true. 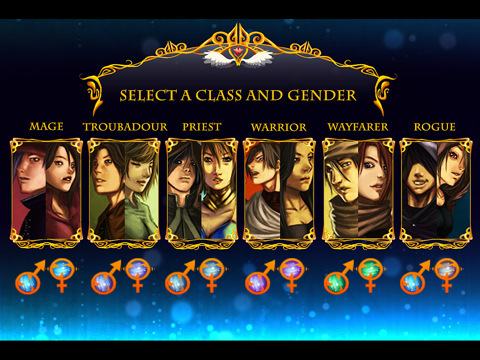 Sorry, but text-based RPGs faded away like Mist-adventure games and Pong. There are still fans of those games, but that is far from being universal in today’s gaming environment. His argument against the app, from my read, is that it’s out of his tastes and feels outdated. However, he does mention several times that if you are into such a game, then you should check it out for yourself. Oh… and no review you will ever read will be impartial/unbiased. That is what a review is… personal opinions of people who played the game. We aren’t a mainstream media source that has it’s opinions shifted by advertising or money. We give you our own personal honest opinions. Glad to hear you really liked this app though! You got enjoyment out of it, so good for you.